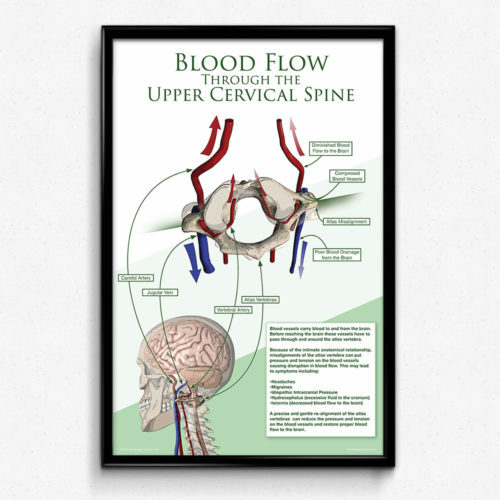 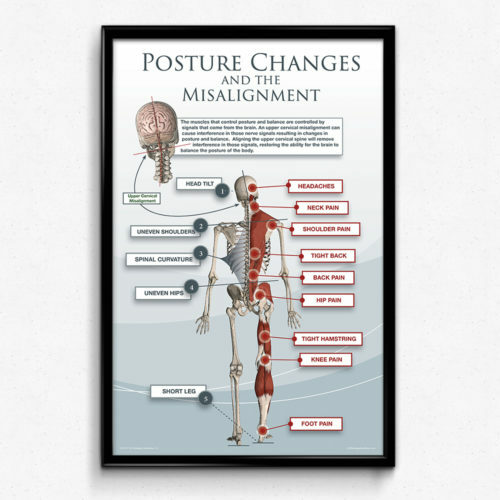 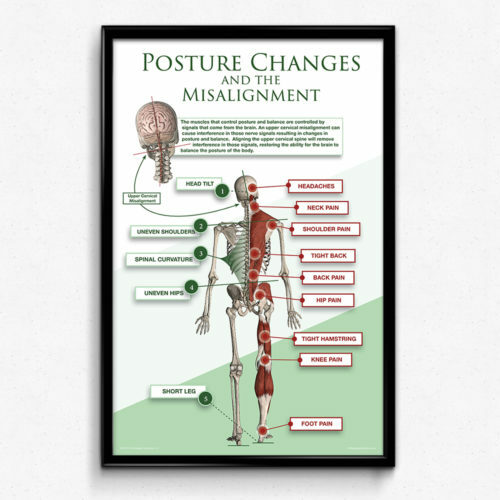 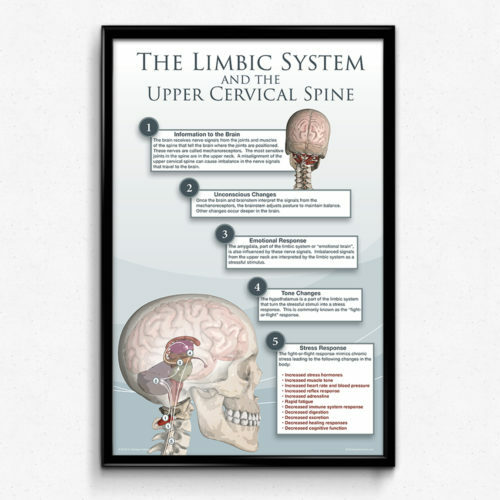 A patient-oriented reference poster for the Upper Cervical practice showing effects of an upper cervical misalignment on CSF flow. 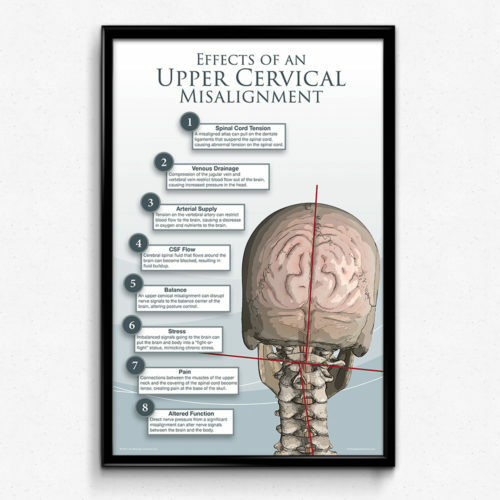 A patient-oriented reference poster for the Upper Cervical practice showing effects of an upper cervical misalignment on CSF flow. 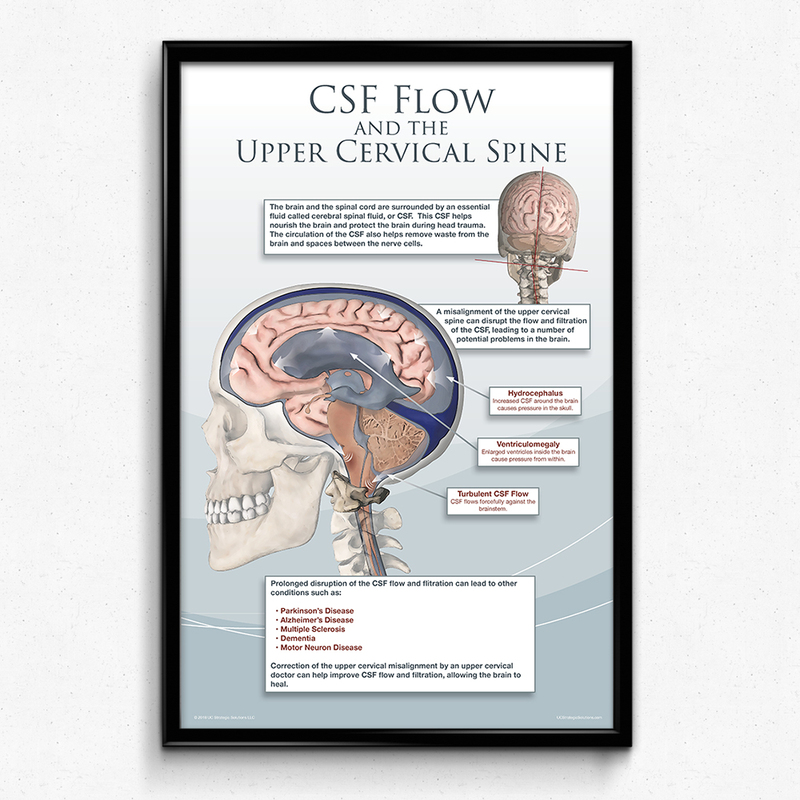 The large illustration shows the internal effects of disrupted CSF flow, highlighting ventriculomegaly, hydrocephaly, and turbulent flow at the brainstem. 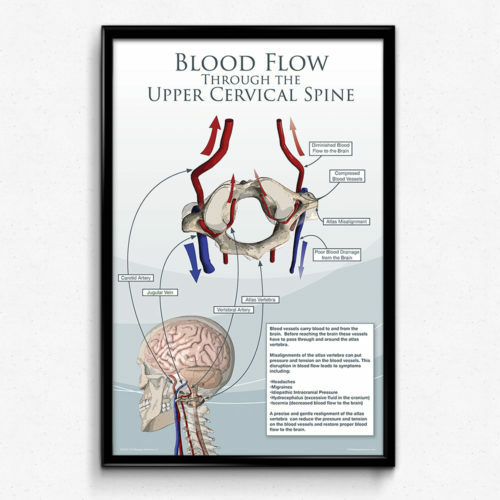 The atlas bone is highlighted making it the visual focal point of the diagram.